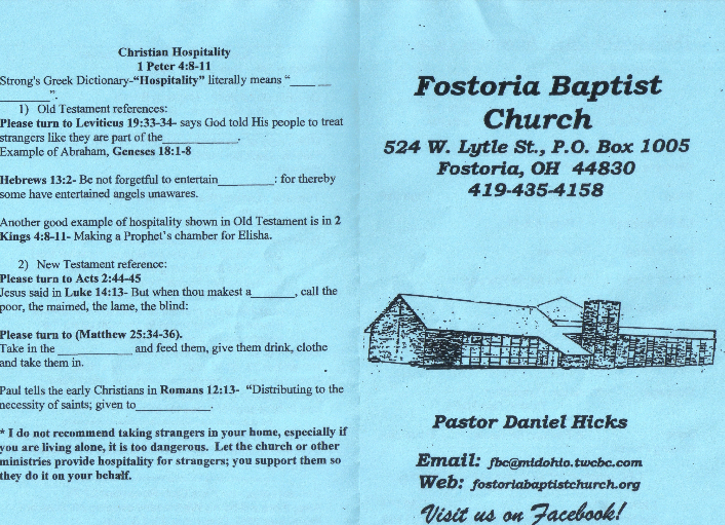 Welcome to Fostoria Baptist Church! 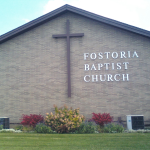 The purpose of Fostoria Baptist Church is to bring glory to God in worship, discipleship, evangelism, and fellowship. Since it is the Word of God which provides for man's heartfelt needs, it will be the priority of this church to know and make known the truths of the Scriptures, thus people will be brought to Christ, mature in Christ and witness for Christ. 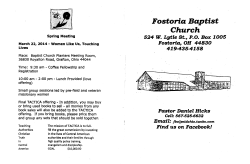 Fostoria Baptist Church is located at 524 West Lytle Street in Fostoria, Ohio, 44830. 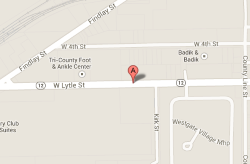 For directions to our church, please click here. 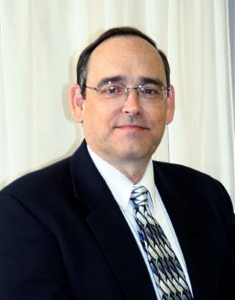 For contact information, click here. 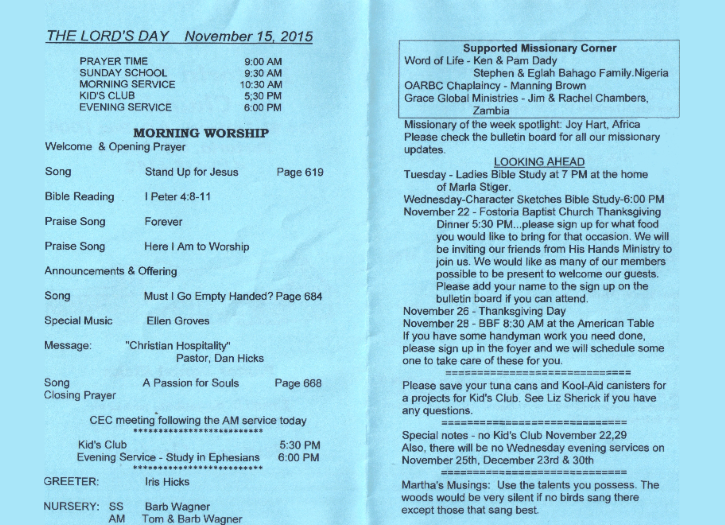 Click here for the current bulletin for Fostoria Baptist Church.